“Ãâ€˜ÃÂ¾ÃÂµÃÂ²ÃÂ°Ã‘Â ÃÂ¼ÃÂ°Ã‘Ë†ÃÂ¸ÃÂ½ÃÂ° ÃÂ¿ÃÂ¾ÃÂ´ÃÂ´ÃÂµÃ‘â‚¬ÃÂ¶ÃÂºÃÂ¸ Ã‘â€šÃÂ°ÃÂ½ÃÂºÃÂ¾ÃÂ²” – Armored Vehicle for the Support of Tanks. When you just need to kill a company’s worth of infantry in a hurry. 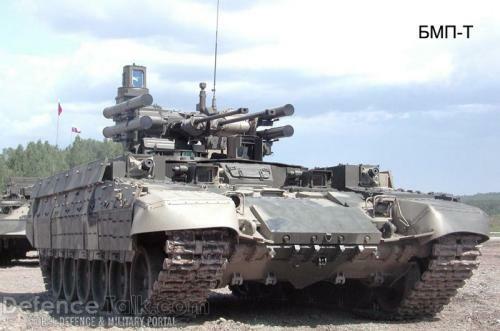 2x 30mm Auto-cannons, 2x 30mm grenade launchers, 4x Anti-Tank Missiles, 1 7.62mm machine gun, 3x gunners. All these guns seem fixed on a single turret. What if you approach it from behind? The turret can rotate LOL. If you approach it from behind, you have to first get past the two main battle tanks and infantry that this tank is protecting. Japan’s close enough to parts of Russia that they just hire Ninja. The tank just looks pretty, the Ninja actually do the slaughtering. They’re actually 82 ninja in this picture. Promise. Too bad open battlefields are a thing of the past, it’s all about close quarters, intel, and diplomacy. The grenade launchers are actually hull-mounted and independently aimed and fired.